Like many young mothers with a growing family, Julie Wilson Caton has been looking for ways to trim her budget, especially because her family is just starting a home addition. She was particularly ticked off at her monthly bill of $180 for TV, Internet, and phone service, which seemed excessive given how few channels her family actually watches. Caton started to shop around, but as she explored the alternatives, she was taken aback by the expanding number of choices. Many consumers share Caton’s frustration. There has to be a better way to get TV. Americans may not agree on much, but almost all of us complain about being trapped by overpriced cable packages. According to research firm NPD Group, the average pay-TV customer spends more than $100 per month for TV and Internet service. And it’s not like we’re watching all of the channels we’re paying for. Last year the typical U.S. home received 189 TV channels but regularly watched only 17, according to Nielsen, a leading research firm. That kind of waste bothers people. In the most recent survey on telecom providers conducted by Consumer Reports, 83 percent of the TV providers we rated received our lowest mark for value. “Lack of competition among cable providers has resulted in higher prices and poor customer service, year after year,” says Ellen Bloom, senior director of federal policy for Consumers Union. But cable customers have grudgingly stayed put because they saw no decent alternatives. 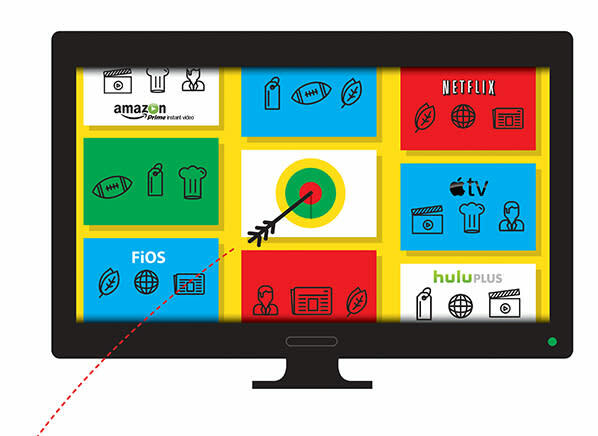 Check our telecom Ratings to find the best TV, Internet, and phone service. Now, after a quarter century of monopolies, high prices, and frustration, that’s beginning to change. Over the past year, new services have emerged, seemingly out of nowhere, and regulatory agencies have aggressively asserted themselves to level the playing field. Internet-streaming services such as Sling TV and Sony PlayStation Vue offer curated channel packages with popular networks such as the Disney Channel, ESPN, and TNT, and Apple is rumored to have its own service in the works. Premium networks such as HBO and Showtime are selling cable-free subscriptions to compete with the likes of Netflix. And cable, satellite, and fiber companies are fighting back with slimmer packages and lower prices. For the first time in a generation, consumers are starting to have more choice. Why now? The main reason is that broadband service has reached a TV-friendly threshold. About 90 million homes have high-speed Internet connections, closing in on the 100 million households that get pay TV. Comcast, the nation’s largest cable company, has more broadband customers than TV subscribers. And Internet connections have become fast enough—about 11 megabits per second (Mbps), on average—to reliably support streaming. That has allowed Internet-based startups to shoulder their way into the market, in turn spurring established TV players to experiment with their services. “The shift to downloading and viewing content over the Internet could eventually offer real competition in the video market, and that could mean flexible choices and better pricing,” Bloom says. For now, TV providers seem less concerned about making fistfuls of money than they are about understanding how the business is shifting. “Broadcasters are finally more open to testing their content on new platforms, to see what consumers want and what makes sense,” says Dan Rayburn, principal digital media analyst at market research firm Frost & Sullivan. Government regulation is encouraging, rather than inhibiting, innovation. This spring, the Federal Communications Commission rewrote its rules for Internet service providers (ISPs) to prevent them from favoring one type of content over another or from slowing down or blocking content coming from some websites. That principle of nondiscrimination is called “Net neutrality.” The FCC is also fighting state laws that block municipal broadband, so towns and cities can provide fast, cheap public Internet access. You also need to consider value. When our experts priced a few combinations of streaming services, the packages they configured cost $20 to $30 per month less than traditional cable, but they got far fewer channels. 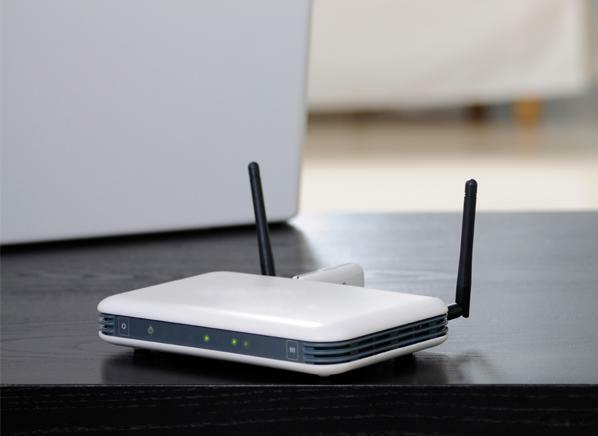 Plus almost all of the new options depend on broadband service—which in many cases is provided by the very cable or telecom company you want to escape. If you drop television service, your provider will probably charge you more for Internet service, and you might have no choice but to ante up: The FCC says three out of four households lack choice when it comes to high-speed broadband. Though new streaming options may not be perfect, the pros clearly outweigh the cons for many consumers. Research firm Experian estimates that 18 percent of households with an online video service such as Netflix have dropped traditional TV service; by contrast, almost 7 percent of households overall have cut the cord. Pay-TV companies started losing more customers than they gained in 2013, and in the first quarter of this year, they lost 86,000 subscribers, reports research firm MoffettNathanson. Caton hasn’t yet decided whether she’ll join the ranks of cord-cutters. The week she spoke to us, she was canvassed by a Verizon rep, who said FiOS fiber service was only a block or so away from her home. She’s waiting to see how Verizon’s offers compare with her other options. In a market that’s changing this fast, every week seems to bring a new reason to shop around. Have you cut the cord? What have you done to lower your monthly viewing expenses? Let us know by telling your story below. If you think the hundred-plus channel package provided by your cable company is a colossal waste of content—and money—then it’s about time you explored your options. Here’s our guide to right-sizing your entertainment budget. Start by creating a list of programs you can’t live without, then ask family members to add their favorites. Do you need to watch shows the day they air? Do you have sports nuts in the house who want everything—including ESPN, TNT, and regional sports networks—or are they casual fans who can make do with what’s broadcast on network TV? Is local news critical? Are you willing and able to use an antenna to pull in over-the-air broadcasts? Do you need a DVR to record shows? Do you have smart TVs or streaming media players, such as Apple TV or Roku devices, that can connect every TV in your home to streaming services? Once you’ve compiled your preferred channel lineup, go through the various cable, satellite, telecom, and streaming-service packages to find the lowest-cost option that most closely matches your list. Then decide which other services or channels you’d want to add. Crunch the numbers to see how the total compares with the best deal from your TV provider. (This chart may help you choose.) Consider what you get for the money. If you would save a little but give up a lot, it might not be worth switching. Check the fine print on pricing. Prices sometimes rise steeply after a promotional period ends. If you get your TV service from a cable, satellite, or fiber provider, it’s worth checking out their current offers before you sever ties. You might be able to trim costs without losing your favorite channels by “shaving” the cord rather than cutting it. Check out the most basic plan available; most such plans start at about $20 per month. Companies rarely promote them, so you may have to dig to find them. If you like cable programs such as AMC’s “The Walking Dead” or TNT’s “Falling Skies,” a midpriced package that includes regular cable channels should suffice. Some providers let you add premium cable channels such as HBO for about $10 per month, so don’t assume you have to spring for a pricey package to get them. Traditional TV bundles have one big advantage that you won’t get with most streaming services: easy recording on a DVR, which is often included in midpriced and higher packages and available for an additional cost with the most basic plans. Learn about do-it-yourself TV packages that will save you money. Most new over-the-Internet TV services have about 20 to 30 cable channels as part of a core package, and some let you pay to add channels, including premium channels such as HBO and Showtime. But that can quickly bump up the price, and even then, none of the services completely replicates what you’d get with cable—including a DVR. Sports has been called the glue that has kept viewers stuck to traditional cable and satellite TV packages, but that’s starting to change. ESPN, home to “Sunday Night Baseball” and “Monday Night Football,” is available in Sling TV’s cord-cutter package. Sling TV’s basic package also includes popular channels such as AMC, CNN, and the Disney Channel, but it doesn’t have the major broadcast networks or a DVR. You can add channel packs for $5 more per month apiece. 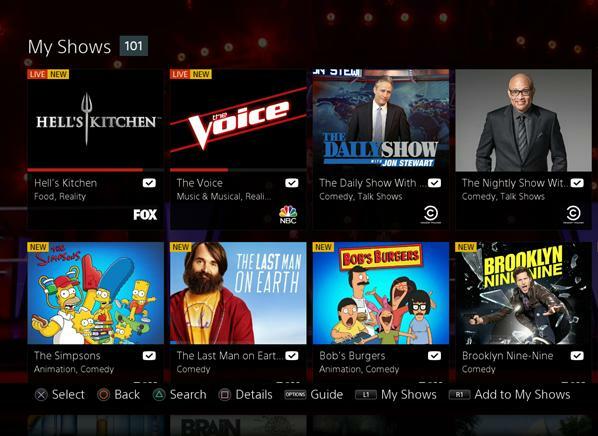 Sony’s PlayStation Vue has a cloud-based DVR and as many as 85 local and cable channels, but it lacks ABC and Disney channels including ESPN and regional sports networks. As of this spring, Vue was available in only three cities, but Sony said it would be offered more widely soon. 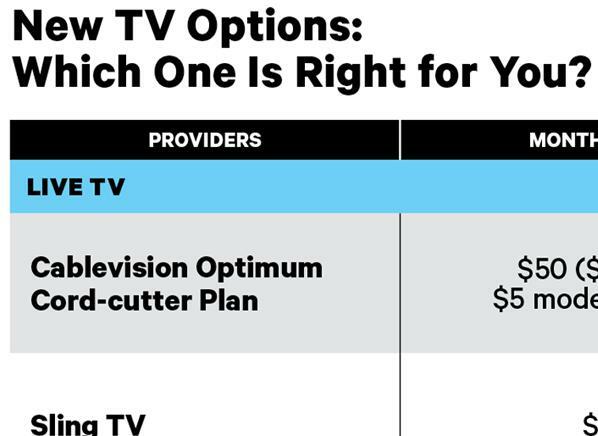 Also, its cost—from $50 to $70 per month—isn’t much lower than that of many cable plans. At press time, the dark horse in the race was Apple, which was reportedly readying a streaming service for launch this fall. Based on early reports, it could have about 25 local and cable channels and cost $30 to $40 per month. Some networks offer limited live programming on their websites. CBS, with its $6-per-month CBS All Access, is the only major network with a full stand-alone streaming service. But NFL games will be excluded because of licensing agreements. If you can live with a delay of a day or so, you can watch current episodes of many shows from the major networks on Hulu Plus, which costs $8 per month. And if you’re OK being a season or more behind, Netflix, $8 per month, and Amazon Prime, $99 per year, are great options for movies and binge-watching. Many professional leagues—including MLB, NBA, and NHL—offer monthly or yearly online streaming subscriptions, though local games are often blacked out. The one exception is NFL Sunday Ticket, which is available only to DirecTV subscribers. If you go through the process we’ve outlined, you should be in a good position to decide which telecom service, or mix of services, is best for your family. And with things changing so rapidly, check back periodically to see whether an even better choice for you has emerged. 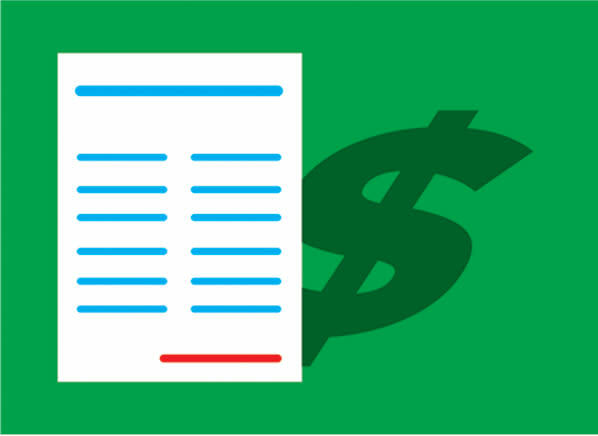 Know the full price before you sign up for a plan. 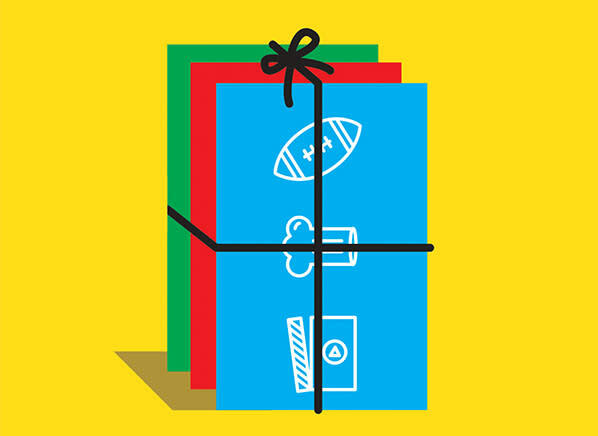 Fees for installation, regional sports, equipment, taxes, and more can tack $25 or so onto your monthly bill. Most cable companies don’t require a contract, but certain providers do, especially with promotional rates. With Verizon contracts, you pay up to $350 if you want out before your term expires. DirecTV and Dish charge a prorated fee of $20 per month (up to $480) if you try to exit a contract early. Before you sign anything, find out what it’ll cost you to get out of a contract if you change your mind later. A rental charge of $8 to $10 per month adds up fast. Instead of continually shelling out that fee, buy your own gear for about $100 or less.